Permitting efforts and baseline data collection at the Copper Flat Mine began in June 2010. The Company is focused on obtaining its required permits. In the United States, federal and state laws ensure mine operations are conducted responsibly. The Company is committed to achieving state and federal standards for data collection, regulatory compliance, public involvement and environmental protection. Our stakeholders (the public, community leaders and government officials) are invited at multiple stages to participate in the permitting and evaluation processes of the mine. The mine is located on a combination of federal, state and private lands. In order to approve the use of the federal lands and in compliance with the National Environmental Policy Act (NEPA), an Environmental Impact Statement (EIS) is being developed by an independent third party contractor. The Bureau of Land Management (BLM) is the lead federal agency for the NEPA process in coordination with a number of state agencies that regulate mining and protect natural resources. The EIS process is currently underway with completion expected in 2018. The public has helped shape the EIS evaluation by providing comments during initial local public meetings (called “scoping meetings”). Following publication of the draft EIS on November 25, 2015, the BLM hosted two public meetings in Hillsboro and Truth or Consequences to gather feedback on the DEIS and invited public comment over a 120 day comment period. Public interests are also protected through a financial assurance bond, which is required by state and federal agencies: The New Mexico Mining and Minerals Division (MMD), the New Mexico Environment Department (NMED), and BLM. The financial assurance bond will be jointly held by NMED, MMD and the BLM. In the event that the Company was unable to properly reclaim the land following mining, the MMD, NMED, or BLM, as applicable, would be able to oversee and finance land reclamation. Baseline Data Report was submitted in 2012 followed by supplemental studies in 2013. Studies included over a year of datacollection on wildlife, vegetation, soils, surface water, ground water, cultural resources and air quality among others, with additional surveys conducted in 2013 and 2015. Additional baseline studies of birds and vegetation on millsite claims near Production wells were completed in 2016 per state agency requests and reports were submitted in 2017. A significant aquifer test was completed to provide accurate site specific data for groundwater modeling in December of 2012. Ths aquifer test collected data on aquifer response to pumping water from the Company’s Production Wells. A groundwater model was used to create predictions of the impact of mine operations on the aquifers in the area and submitted for use in the BLM’s analyses. The model and its results were reviewed by hydrologists at the Office of the State Engineer as well as by the third party EIS contractor responsible for writing the Environmental Impact Statement and the BLM. The model has been deemed sufficient by reviewing parties and is conservative in its predictions (impacts are likely to be less severe than those predicted). Copper Flat Mine will require five main state permits from three state agencies to operate, with input from other agencies as appropriate. Several smaller permits will also be necessary. The Company has secured one of these permits and is working through the process of providing each of these agencies the applications, background information and plans necessary to obtain each of these permits. Department Air Quality Bureau oversees Air Permits. The Office of the State Engineer oversees permits to appropriate and pump water and the Office of the State Engineer Dam Safety Bureau oversees new dam permits. A Revised Mine Operation and Reclamation Plan was submitted to the Mining and Minerals Division (MMD) in October 2016. In response to technical comments and questions from MMD additional details and revisions were submitted in July 2017. The Mining & Minerals Division(MMD) is reviewing technical documents and responses to comments from theCompany. MMD is waiting for two additional elements to complete the Permit Application Package: a report on the Probable Hydrologic Consequences of the proposed operation and an Environmental Evaluation Report.These documents are in process. The New Mine Permit is expected in 2018. A revised Discharge Permit Application was completed and submitted to the NMED on December 11, 2015. The NMED determined the permit application to be administratively complete and the Technical Review Period was started on December 22, 2015. Responses to technical comments and questions from NMED were submitted in June 2016, August 2017, and October 2017. Once the permit application is deemed technically complete the NMED will draft a Discharge permit based on the application details. A Discharge Permit is expected in 2018. The Company obtained an Air Permit in June of 2013. The Company will submit an application to revise this permit to match the ultimately decided mine plan of operations once other major permits are in place. The Company obtained water rights associated with the previous operation of the Copper Flat Mine in 2011. The Office of the State Engineer and the Company are in the midst of an expedited inter se water rights trial over disagreement about the amount of water the Company may pump. The judge heard oral arguments on the matter in March and June of 2016 and will render a decision when he is ready to do so. It is not known when the judge will render his decision but it is hoped this will come in late 2017 or early 2018. The Company will apply for a New Dam Permit once time and resources allow. A proposed Mine Plan of Operation was submitted to the BLM in 2010 and revised in 2011. In response the BLM kicked off an evaluation of the proposed mine plan impacts via development of an Environmental Impact Statement. Scoping meetings were held in early 2012 and over three years of collected baseline data have been assembled by the BLM’s EIS Contractor to develop a Draft Environmental Impact Statement. The BLM’s Draft Environmental Impact Statement was published on November 25, 2015, opening a public comment period which ended in April of 2016. BLM held public meetings to solicit comment on the Draft Environmental Impact Statement in Hillsboro and Truth or Consequences in December of 2015. Consulting Parties were assembled by the BLM, including the New Mexico State Historic Preservation Office and a Programmatic Agreement regarding resolution of adverse effects to historic properties at the mine site in compliance with Section 106 of the National Historic Preservation Act was created through collaboration with all consulting parties. The Programmatic Agreement was signed in November of 2016. The BLM is evaluating the likelihood and severity of possible effects to Federally-listed compliance with Section 7 requirements of the Endangered Species Act and is in consultation with the USFish & Wildlife Service. Based on public comments and review, the BLM asked the Company to prepare additional technical information which has been provided by the Company to the BLM in 2016 and 2017. The BLM and its independent third party contractor have drafted responses to all public comments, which are being reviewed internally. The BLM is expected to decide on whether to move to creating a Final Environmental Impact statement or a Supplemental Draft Environmental Impact Statement based on its review and consideration of allresponses to public comments. The amount of water required for the mine operation will be significantly reduced by a number of strategies built into the mine design to recycle water. The single largest water recycling system will be the tailing storage facility reclamation process. This system will reclaim water from tailings solution and from an under-drain system below the tailings storage facility liner. Water from these sources will be recycled back into mine operations. 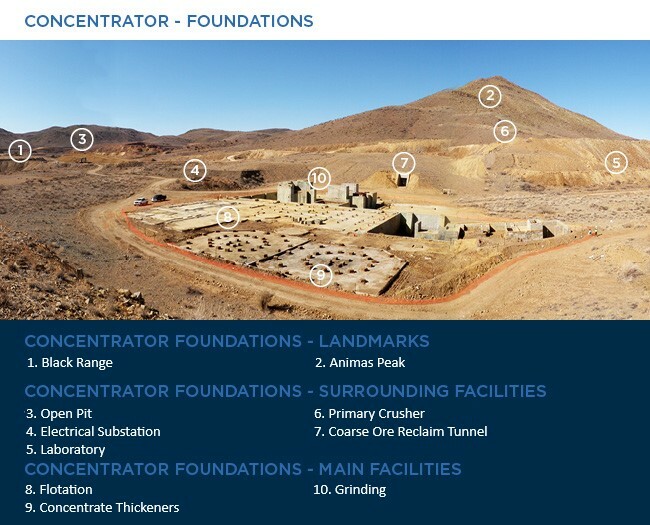 It is estimated that 75% of the water used for mine operations will come from one of these recycling operations. Treating and recycling all sanitary system and gray water produced on site. Groundwater monitoring and analyses down gradient from all major mine facilities. A number of monitoring wells are already in place at the mine site and significant data exist about current conditions. Additional monitoring wells will be drilled to collect data around the mine facility including near waste rock disposal facilities and stockpiles, as well as near the tailings storage facility. Sampling and analysis of surface water on site when present. Collection of meteorological data and particulate dust information. Spill and leak detection systems on mine equipment. Where practical and economic, THEMAC will consider alternative construction materials and techniques to improve the overall energy efficiency of the Project. This may include renewable energy generation (solar, wind, etc.) for certain buildings. A weather station has been in place at the mine site since 2010 and has collected, and will continue to collect, information regarding prevailing wind direction and wind speed could be applied to the analysis of the potential for wind energy generation at the site. Before the Copper Flat Mine is opened for commercial production, plans will already be in place for the reclamation of the land after mining activities cease. Our objectives are to re-grade and reclaim mining areas to blend into surrounding topography as much as possible and to achieve a self-sustaining ecosystem appropriate for the climate and federal and state approved post mining land uses. 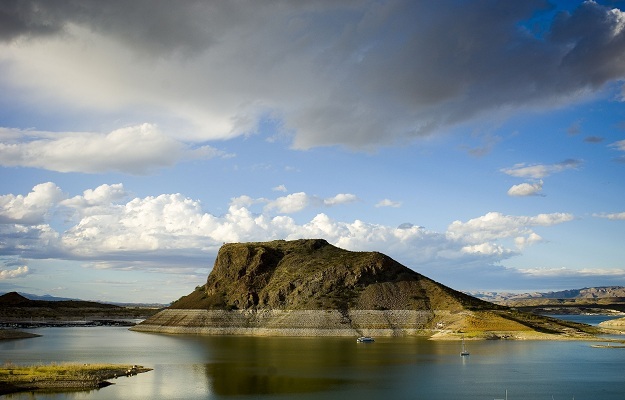 Reclamation efforts at the site will include using adequate cover materials in areas deemed appropriate, creating slopes to blend in with local topography and reduce infiltration of water as well as control runoff and limit erosion. Seeding will be completed for a native plant community similar to surrounding undisturbed areas. Establishment of native vegetation on reclaimed areas at Cooper Flat will result in increased erosion protection, direct habitat improvement and reduced percolation of water into the underlying materials. In addition to the reclamation plans discussed above, public interests are also protected through a state level financial assurance bond. For more information please go to the “Permitting” section of the website. 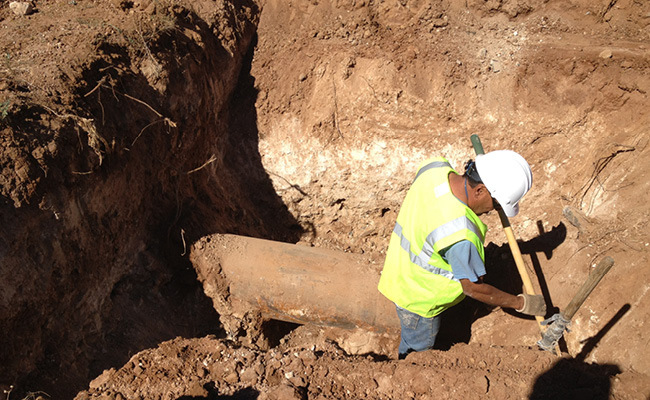 The Copper Flat Project takes advantage of significant infrastructure improvements that are a legacy from the Quintana operation in the early 1980s. Access to the mine site includes approximately 3 miles of all-weather gravel road. 115 kV powerline from the Caballo Substation to the mine site. Production wellfield and 20-inch pipeline from the wellfield to the mine site. Diversion channel collecting stormwater from west and south of the pit and diverting unimpacted flows down Grayback Wash. In 1905, the world’s first open pitiable, low-grade copper porphyry started production at Bingham Canyon Mine. Today, disseminated copper deposits and their associated hydrothermal systems contribute significantly towards world copper production. They account for more than 50% and over 95% of the world’s copper and molybdenum supply, respectively. Most porphyry systems also produce gold and silver as a byproduct, with ranges varying from 0.004 to 0.35 g/t Ag and 0.2 to 5 g/t Au. In 2007 the USA alone supplied up to 8% of the world’s copper demand, with the state of New Mexico ranked by the U.S. Geological Survey (USGS) as the third largest USA supplier. Copper porphyry deposits are globally restricted to two types of orogenic belts: those created along a subduction zone (where a continental and ocean plate meet) and those found along island arcs (where two oceanic plates collide). Porphyry deposits discovered along the coast of South America and North America are examples of porphyry deposits fashioned by a subduction setting. During the 1990s, through ongoing studies, the USGS concluded that approximately 350 million tons of copper had been discovered in the USA, and that about 290 million tons remained undiscovered. The Copper Flat Project, located in the Las Animas Mining District in South Central New Mexico, in the County of Sierra, USA, has a rich mining history stretching back to the late 19th Century. Modern exploration for porphyry copper mineralization was first initiated during the early 1950s and since, has been the primary focus within the district for many companies, including THEMAC Resources. Today, the Copper Flat Project is an advanced porphyry copper and molybdenum project. Extensive exploration has resulted in a clear understanding of mineralization distribution. The deposit is situated within a 4 mile wide stratovolcano complex with accompanying andesites and an intruded quartz-monzonite stock, known as Copper Flat Stock. Current indications suggest that Copper Flat Stock is an alkali Cu-Au mineralized breccia pipe, associated with, and genetically linked to an alkali porphyry system at depth. Breccia pipe mineralization accounts for approximately one-third of the resource. One-half of the contained copper and molybdenum is located within this mineralized structure. Copper mineralization at Copper Flat is mostly unoxidized. It occurs in a hypogene sulfide environment largely in the form of copper-iron-sulphide or Chalcopyrite, which is hosted in the core of a breccia pipe. This style of mineralization and the associated alteration are broadly similar to other hydrothermal porphyry copper deposits in the southwest United States. Other mineralization associated with Copper Flat includes molybdenum, lead and zinc. Molybdenite (molybdenum sulphide) when present, occurs either in quartz veins, or as thin coatings in fractures. Sphalerite (zinc-iron-sulphide) and Galena (lead-sulphide) occur within the stock in minor amounts as carbonate and quartz veins associated with more dominant pyrite (iron-sulphide). Exploration activities at Copper Flat have developed since the 1980s. Recent exploration completed by THEMAC personnel included detailed surface mapping of all exposures within the historical pit, drainage cuts, and most of the outlying Project, covering a total area of 4,701 acres. Extensive geochemical sampling was also completed to improve the understanding of the precious metal distribution outside of the deposit, as well as identifying other potential exploration targets. During a recent drilling program twenty core holes totaling 22,369.5’ were completed, as well as five geotechnical core holes totaling 3,609’. All core was split and assayed and the results were incorporated into the latest reserve and resource model for the Feasibility Study. In addition to drilling and reconnaissance, the entire historical core has been re-logged to obtain lithological and structural information using core photographs. Additional mineralogical and metallurgical studies have been undertaken and geotechnical studies have been completed. A CSAMT geophysical survey was completed in the central part of the project to investigate and define the extent of the CFQM and sulfide mineralization. Following completion of the 2012 drilling program, the footprint of the Copper Flat deposit is now considered fully defined for the purpose of the Feasibility Study. There is potential to futher expand the known copper reserve and resource base through additional drilling. Any drilling undertaken will be focused on attempting to extend the deposit at depth (below the bottom of the planned pit). The margins of the deposit and in particular the northeastern lobe of the deposit will also be drill tested. The southwestern states of the USA are host to some of the world’s largest and most prolific porphyry copper deposits. Typically the ores are moderate, but their exceptional scale result in them being the most economical to develop. The Copper Flat Project is located in the historic Hillsboro mining district of New Mexico, USA. Following the discovery of placer gold and silver deposits in the late 1870’s, it was one of the first districts to be mined. For a century, silver and gold was produced from placer operations in the vicinity of the Copper Flat Project. The first copper smelter was developed in the town of Hillsboro in 1892 and operated until the early 1900s. Small-scale copper and precious metal mining continued in the district until 1941. Between the 1950-1960s majors such as Newmont Mining Company (Newmont) and Bear Creek Mining Company (Kennecott’s former exploration subsidiary) became involved in the district, and had varying exploration exposure to the project area. In the past 30 years there have been two significant efforts to bring the Copper Flat mine into production. 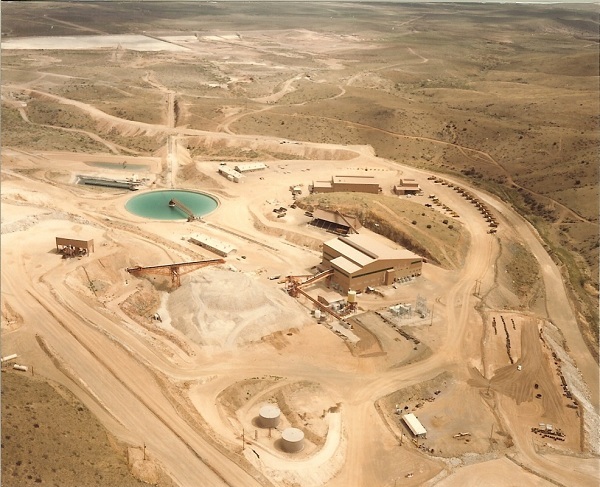 The first effort was by Quintana Minerals who successfully achieved production in 1982 following a $112M capital investment. With a capacity of 15,000 st/d and a waste ore ratio of 1.8:1 the mine ran in full production for three and a half months. Financed on a $1.70 /lb copper prices the company was unable to sustain the low copper prices of $0.70/lb. Coupled with this were the high interest rates on the CIBC (Canadian Imperial Banking Corporation) loan. The mine was put on care and maintenance in the expectation that it would be reopened once there was an economic rise in copper prices. Eventually the mine was dismantled prior to a copper recovery and the concrete foundations were covered. The initial mining in 1982 proved that there are no adverse processing factors or harmful by products which would require additional engineering and environmental control. With a change in copper prices, modern extraction techniques, and successful management, it is evident that there is significant production potential at Copper Flat. The second effort was with Alta Gold which acquired the property in 1994. Having obtained a draft final EIS for the project in 1999, the company went bankrupt (following financial difficulties with other assets) just prior to the final issue of permits. Alta’s exploration, engineering and environmental studies contributed significantly towards the development of the Project. Resource and environmental data was progressed to standards consistent with current regulations. The work carried out in the 1990s further underpins the economic and operational viability of the Copper Flat Project.